5 Reasons CRM Deployments Fail, and how to avoid them. – Pacific Street Inc.
CRM (Customer Relationship Management) systems are a great tool to automate your business, support your sales team, provide a great customer experience, and increase your revenue. 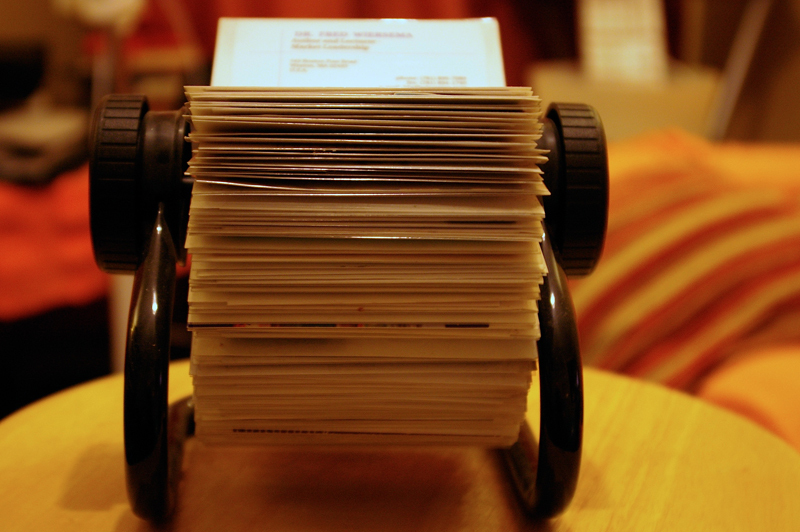 Unfortunately, many companies looking to deploy a CRM solution end up using the CRM for little more than “an expensive rolodex”. Many companies assume that a CRM solution is everything they need right out of the box. But the strength of a CRM is its ability to fit to your business needs and eliminate pain points. It starts with tons of fields and a very particular process – some of which may not be efficient for the way your business works. Without streamlining the interface to meet the needs of your business processes, your team works around the platform rather than letting it do the work for them. Your team is on the front line with your customers, so it’s essential that they’re on board with the new CRM system. If you want them to use it, they have to see the value in it. This is why it’s crucial to mold the system to their needs. If the system isn’t customized to flow with the way they do their jobs, they may see it as more trouble than it’s worth – and won’t adhere to using it. They should be involved in the initial customization process to ensure that their concerns are addressed. While they may not use the system as frequently, if management personnel don’t see the benefits of having custom reports at their fingertips, they may not promote the importance of adoption with their teams. And if the team sees a lack of enthusiasm from their managers, they may find it less important to follow the user protocol. If, on the other hand, the leadership is a cheerleader throughout the switch, users will typically put more effort into adapting. Sometimes even when all the preparations are in place, something goes wrong. Reports aren’t showing data properly, and users complain that they’re having trouble with the system. Most often, this is because the team hasn’t been trained on the new system and aren’t following consistent practices. Even if it’s a user-friendly system, the simplest things can throw off users when they’re trying to adapt — that little drop-down icon they didn’t see, the keyboard shortcut that skips 12 steps, or your company’s naming conventions. A little training can go a long way to ease the transition and help users get the most out of the system. At the same time, unanticipated issues can pop up when users start interacting with the system. It’s important that support is in place to manage the hiccups so they don’t become bigger hurdles. While most companies don’t do enough in preparing for a new CRM system, it’s also possible to go too far. One of the most unexpected deployment blunders is trying to do too much with the system right out of the gate. Whether it’s holding on to too many unnecessary fields (is ‘second cousin’s birthday’ really needed?) or adding in a 70-option dropdown menu that becomes the final straw, the root of the problem is asking for too much change all at once. Sure, it would be great if you could track your customers’ favorite colors, but when you’re first starting out, stick with a simple and deliberate approach that’s no more complex than the processes they’re used to — your team will thank you. As you can see, there are a lot of things that can go wrong when deploying a CRM system, and it isn’t a project to be taken on lightly. It’s important to prepare your team and the software thoroughly and to carefully roll-out the system to support your business processes without disrupting the workflows of your end users. If you’re looking to deploy a CRM solution at your company, it’s a smart move to get in touch with a professional CRM Consultant such as Pacific Street Inc. in order to ensure a successful deployment. Get in touch today to discuss your CRM needs!